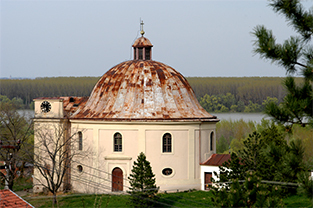 Sremski Karlovci (German: Syrmisch Karlowitz) is located eight kilometres downstream of Novi Sad in southeastern direction. First records of the city stem from 1308 and are connected to the medieval Hungarian fort Karom. Sremski Karlovci was built into the slopes of Fruška gora and the region is one of Vojvodina’s most important areas of viticulture. During the Ottoman Rule, mostly Serbians settled in Karlovci. After the defeat of the Ottomans and the Treaty of Karlovci in 1699, the settlement went to the Austrian Monarchy. The Treaty of Karlovci was signed by the Holy League (Austria, Poland and the Republic of Venice) and the Ottoman Empire. At that time, Karlovci developed into a trade centre. This was due to its location at the trade route towards the Ottomans and the proximity of the Danube as a second trade route between east and west. 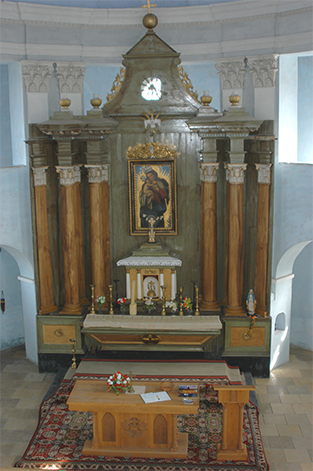 From the 16th century onwards, Karlovci was the religious centre of Orthodox Serbians and in 1713, the archbishop’s seat was transferred from Krušedol Monastery to Karlovci. In the early 18th century, 59 German families came to Karlovci and settled in the so called Swabian Village (Schwabendörfl). Back then, the rulers thought of the German settlers, which came in greater numbers after 1790, as a security for their trade route to Vienna. One house from this period of settlement remains, which today holds the local heritage museum of Germans in Karlovci. The small settlers’ home has two simple rooms and was renovated in the last years by the heritage association. It contains a collection of local history items and the association maintains the old tradition of baking Gugelhopf, a special cake. In 1848, a May Day demonstration was held in Karlovci by Serbians who demanded political freedom and independence from Austria for the Serbian people. Today, Karlovci is rich in cultural heritage sites with its old buildings, the Liberty Chapel and the heritage museum of Germans. Apart from the heritage collection, which can be found in Ilion building, Karlovci also has a beekeeping museum, the archive of Serbia’s Academy of Sciences and Arts and the archive of the archdiocese of Karlovci. Liberty Church and view of the river.